Inflation – it’s a scary word for investors. It’s really a scary word for retired people. But it should be something that everyone keeps in mind when looking at their investments. Inflation is simply the changes in prices of goods and services used by households. Price change over time (they usually go up). This trend is known as inflation. In the United States, we calculate inflation by relying on the Consumer Price Index, which is put together by the Bureau of Labor Statistics. The latest reading on “inflation” by this measure was for February 2013, and it creeped up to 2.0%. While not considered high, it’s the highest it’s been since the Great Recession, and it could be an early sign of things to come in the next few years. Inflation really matters if you are on a fixed income. It really matters. The reason is that goods and services will cost more. So, if you’ve built up a great portfolio that gives you $2,000 per month in returns, it just won’t get you as far as inflation increases. For example, if your monthly expenses right now are $1,800 per month, a small rise in inflation will see that go up, even if you buy the same stuff over and over again. A 2% increase gets you to $1,836 per month. Then $1,872 per month the following year. Pretty soon, your expenses will exceed your fixed income – which is the problem. Inflation also negatively impacts savers. For example, if you just save and save and save, but keep your money in a savings account, it doesn’t grow at the same pace as inflation. Right now, you might be earning 0.50% in a savings account if you’re lucky. But if the costs of goods you buy rise at 2.0%, you’re losing 1.5% per year by just saving in a bank account. I know they story of a woman who was totally diligent her entire life and saved 20% of her income every year. She put it into a money market account. However, now that she is looking to retire, she has discovered that she doesn’t have nearly enough money because it never really grew over time. When I asked her why she saved and never invested, her answer was “I didn’t want to lose any money” but because of her fear of investing, she lost out on the growth of her money as well! The bottom line is that you need to be conscious of inflation as an investor and as someone who wants to retire comfortably. If you don’t keep pace, you’ll end up struggling when you should be enjoying life. 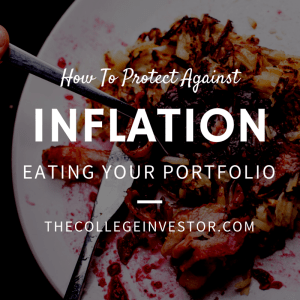 There are a few key ways that you can protect yourself against inflation – and they all basically focus on growing your portfolio as much as, or more than, the rate of inflation. One of the easiest and simplest ways to keep pace with inflation (or beat it) is to invest in the stock market. The reason? All of these companies make money by selling products. If there is inflation, all of these companies will be able to sell their products for more (the rate of inflation). That typically yields a better profit (or one that’s on par with similar companies). Remember, inflation is only a bad thing for consumers who have to pay more. It’s almost a benefit to companies since they charge more. If you want to get more specialized, you can focus on companies that consumers must buy from – basic consumer staples like household goods, healthcare, pharmaceuticals. These companies tend to do especially well, because even if consumers have to make choices with their money, they have to buy these products. For example, using the fixed income situation above, if the choice is between eating at a restaurant or buying groceries, typically the consumer will buy groceries that they can afford. Another key way that you can protect against inflation, while avoiding the stock market, is to invest in inflation-protected bonds. The Treasury offers a product called TIPS, or Treasury Inflation-Protected Securities. These are special bonds that not only pay an interest rate, but also adjust their principal value based on inflation. Even if there is deflation (where prices drop), and you hold the bond until maturity, you will always at least get your principal back. You can invest in TIPS directly through the Treasury, or by buying a bond fund. However, if you buy a bond fund, understand that you could still lose value over time due to the nature of buying a bond versus a bond fund. When inflation rises, the prices of commodities and hard assets rises too. That’s why so many people flock to gold and commodities when there is fear of inflation. However, I advise against investing in gold for many reasons, but more so today because people treat it as more of a gamble of inflation, rather than a hedge against. However, you can invest in hard assets as a group, typically by investing in sector ETFs. While gold will play a part in the portfolio, the real benefit is just the commodities in general (from minerals, to agriculture, and more). Another benefit of investing in these hard assets is that they typically are less correlated to the overall market. Inflation tends to bring shocks or other economic events into the picture that can challenge the market. This diversification out of equities can help should these black swan events occur. Do you protect against inflation in your portfolio? What tips do you have? I buy stocks with a history of dividend growth. One thing that I look at is whether their dividend growth rates are beating inflation. And then I can also look at the overall dividend growth rate of my portfolio and see how that compares to inflation. 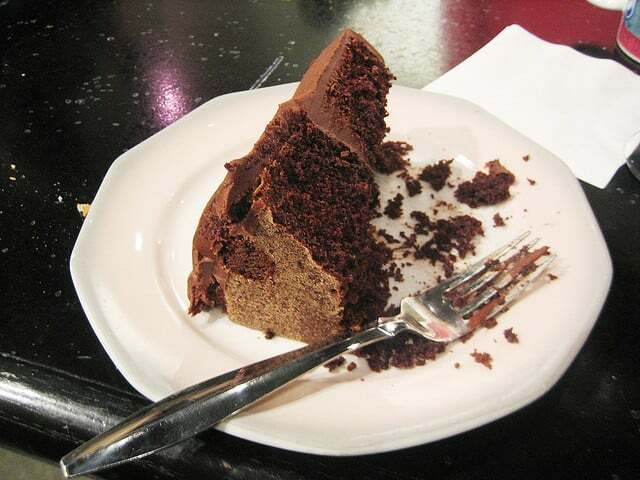 So far, I’m doing okay. My big inflation hedge are my rental properties. I’m keeping an eye on gold too. I would like to pick some up when the price come down a bit. Would investing in gold be similar to investing in hard assets? I know a guy who didn’t invest in gold, but rather in guitars. He would buy vintage guitars for cheap, and now he has a collection of about 15 Gibsons and Fenders. His plan to retire is to slowly sell off some of his music gear, and it seems to look very hopeful, because vintage guitars only go up in value. The only bad thing is that you wouldn’t want to part with some of your favorite toys. It’s really about owning hard assets like real estate. I feel bad for folks who wake up 10 years, 20 years, 30 years later and who still rent b/c rents will have rocketed higher with still no asset to show for. I agree with the Samurai. At some point when there are too many people for this world to hold and building up or down is required, land will be at a premium. Also, land with uncontaminated water sources could be vital 50 years from now. I much rather own land and fresh water than a shiny piece of metal that only has value because humans gave it that imaginary value. One thing about owning hard assets which is nice is that it makes it tougher for anybody to pull a Cyprus-like deposit tax on you. Gold isn’t necessarily traceable or documented.